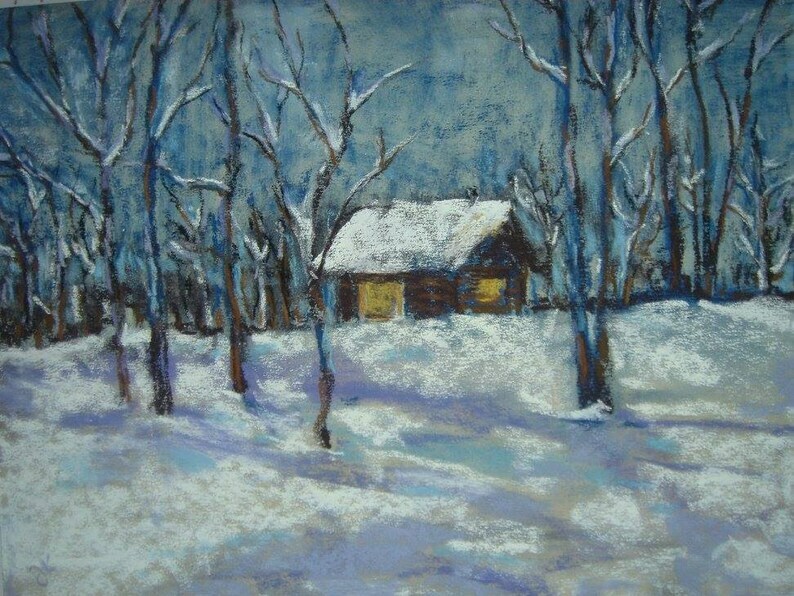 Original Landscape painting: "Snowy Night Cabin in the Woods" by Justyna Kostkowska. 16x20 Framed and double matted. Only one of a kind!